this looks super yumm Priya. My son says he just wants them right now. I better put him to sleep. Absolutely delicious and looks so tempting! A homey and tasty rice dish. My God,that's a punishment at this time.. Drooling over the biriyani.. I like the aroma of so many spices with egg, must have tasted good. Rice grains are looking beautiful, nice click. Thanks for linking this delicious recipe to my event..
An authentic dum biryani recipe. It looks absolutely delicious. Delicious aromatic Biryani.. Looks very inviting! Now u are tempting me to make this ASAP...YUM! 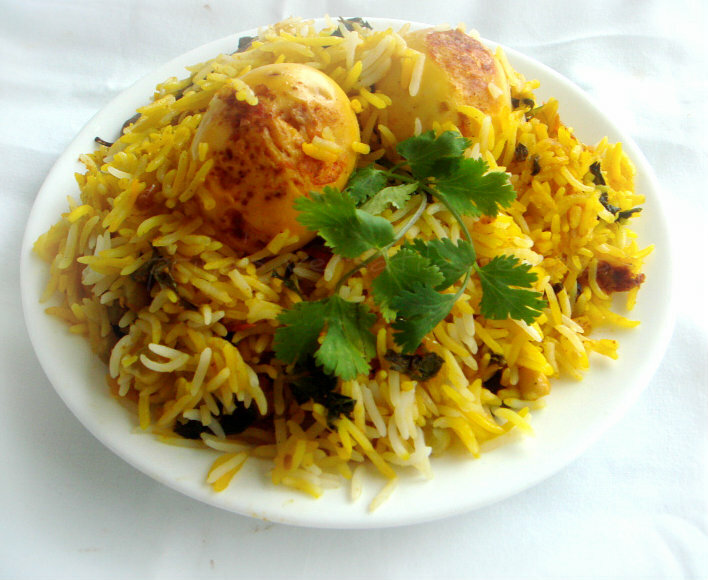 Love one pot meal, the egg biryani is simply delicious one! Oh yes to biryani anytime...I like this one! WOw thw rice is very inviting and yummy.